Sanxia Zushi Temple (left) and Taipei 101. Taipei, June 1 (CNA) Taiwan has long offered free half-day tour packages to travelers with long layovers while transiting through the country to help them kill time, but the service remains little known to both local residents and overseas visitors. The service, launched in 2004, is available to passengers with seven to 24-hour layovers at Taiwan Taoyuan International Airport before their next connecting flight. The only catch is that travelers must have a valid Taiwan visa or come from countries given visa-free entry into Taiwan to be eligible for the tours, according to the Tourism Bureau. Despite being a fixture at the airport for 11 years, the tour service, which includes free transportation and a tour guide, is not widely known. "There's plenty of room for usage to increase," a Tourism Bureau official in charge of the half-day tours told CNA on Monday. Tourism Bureau Deputy Director-General Wayne Liu (劉喜臨) said Taiwan is a transit stop for many people traveling from the west coast of the United States to Southeast Asia, and his agency hopes to leave travelers with a good image of Taiwan through the half-day tours. 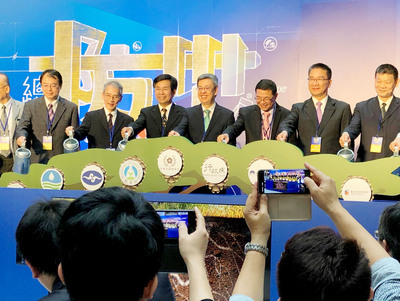 Once the MRT line connecting Taoyuan International Airport and Taipei is put into service by the end of this year, travelers wanting a shorter outing will have even more convenient access to attractions in Taiwan's capital city, about a 40-minute drive from the airport, Liu said. "In the future, it won't be difficult for tourists who want to experience Taipei metro rides, visit the National Palace Museum and taste local delicacies," he said. Two tours are available at present. The morning tour from 8 a.m. to 1 p.m. covers Sanxia and Yingge in New Taipei, and the afternoon tour from 1:30 p.m. to 6:30 p.m. takes visitors to the Chiang Kai-shek Memorial Hall and the Taipei 101 skyscraper in Taipei. Sanxia, situated about 22 kilometers southwest of Taipei, is best known for Zushi Temple, built in honor of Song Dynasty (960-1279) loyalist Chen Chao-ying. The temple is prized for its refined and colorful reliefs and sculptures. After visiting the temple, morning tour participants will head to Yingge, Taiwan's ceramics hub, and the Yingge Ceramics Museum, which chronicles the 200-year evolution of ceramics and folk culture in Taiwan, according to the bureau. Details of the service are available on the bureau's web page at http://eng.taiwan.net.tw/tour/index.htm.